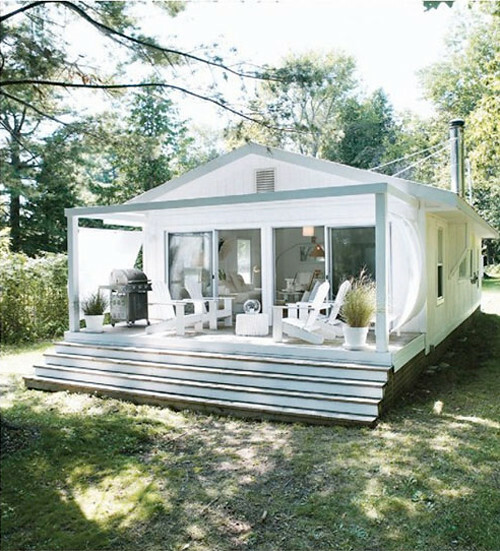 This gorgeous little summer house belongs to stylist Jenn Cranston. She created the headboard for the master bed (image above) from a bamboo screen bought at IKEA. How clever! The pendant light is also from IKEA. 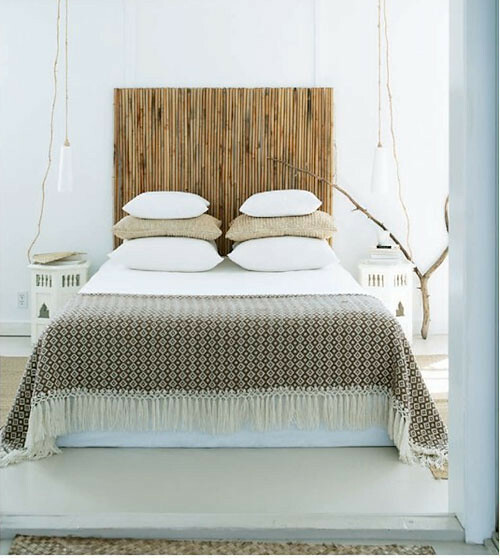 The use of white with rattan is just beautiful! Isn’t this a wonderful summer home?! I am so in love with the headboard. The entire house looks incredibly inviting…Stunning! Love the lighting options selected for this place! Oh my! This is my dreamhouse, it’s absolutely beautiful! I love the IKEA chests at the bed end of the children’s bunks so they can store there most beloved things. Love all the natural elements they used in this house! Very curious about the bathroom…maybe it wasn’t worth a foto? The bedroom set up in genius! So simple and yet so functional! Beautiful, and sweet summer house. 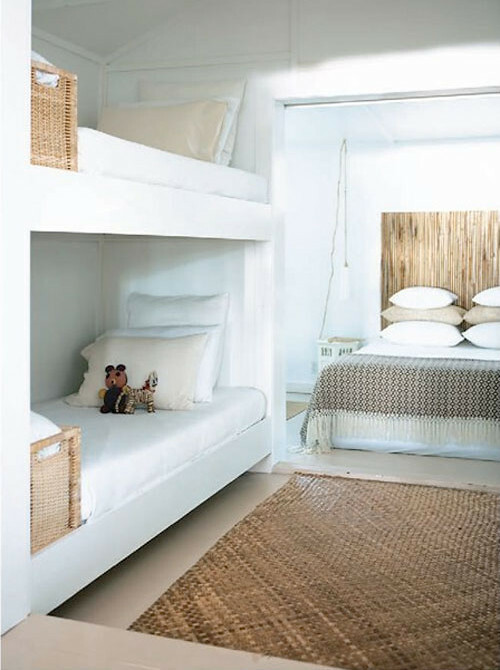 Love white with rattan, it’s a great mix. This is such a lovely Summer home, but I think that might be able to live there year-round. 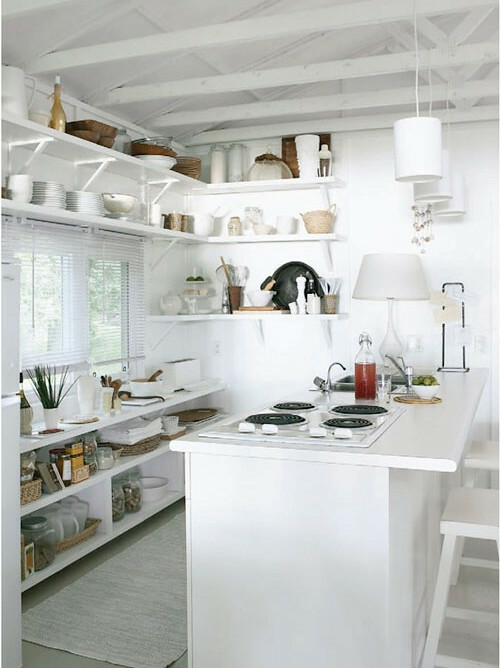 I never thought that such small compact summer house can be both stylish and homey at the same time. Even the white color fits really well with the rattan. Share some more photos of the porch. Oh, i could live in this home with my sweetheart. Love it! Where is the bathroom? Thank you !